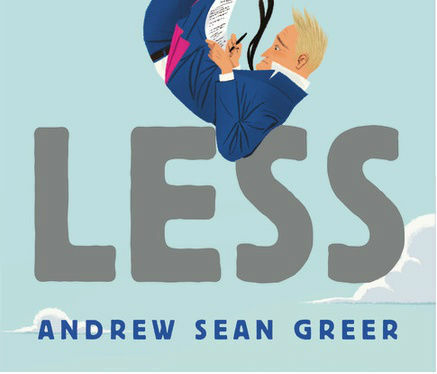 Andrew Sean Greer has carved a career through his lyrical, perceptive prose, creating bittersweet windows into the past with novels The Impossible Lives of Greta Wells and The Confessions of Max Tivoli. With Less, Greer engages with questions of aging, love, and success through a contemporary lens with both wit and keen sensitivity: How do I grow old? What is love? Have I felt it? Faced with the prospect of turning 50 and attending the wedding of Freddy, his younger ex-lover, mid-list writer Arthur Less decides to play hooky from his life. Cobbling together a peculiar string of literary events that take him around the world, our protagonist ponders his uncertainties over aging and his mounting regret over letting Freddy go through misadventures in European airports, an Italian literary festival, a Cold War themed reading in Berlin, and an anomalous Moroccan ski village—but a sampling of his misadventures. Stylistically, Greer’s use of language, dramatic irony, and a mysterious narrator casts Arthur Less as the unwitting hero in this comedy of errors. Throughout the novel, comedy takes the edge off more serious matters, as we follow Arthur through the Frankfurt airport under the influence of too many sleeping pills, attempting to teach a five week university course in his hilariously faulty “fluent” German, and chasing wild dogs in India. While at times, the narratorial voice can be heavy handed, the mysterious narrator adds an additional layer of comedic framing and dramatic irony. Greer’s talent shows in his ability to transition from laugh out loud moments to serious reflection without creating a novel at odds with itself. The ticking clock leading first to Freddy’s wedding and then Arthur’s 50th sets the pace as Greer addresses the question of whether we can really run away from our problems. His answer is no. In the same way that our own insecurities inevitably commingle, Arthur Less’ problems are bound together in one inflexible, unrelenting knot. Arthur’s anxiety over aging influences his feeling that he has failed at life and in love. Americans seem to be particularly cursed in their insistence on a time-sensitive checklist standardizing success, and in this respect, Arthur Less is surely failing. His publisher has turned down his novel. 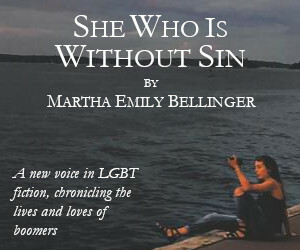 A fellow gay author has accused him not of being a bad writer, but a “bad gay” for condemning his gay characters to unhappiness, albeit beautifully. Similarly, with age comes an expectation of having attained a certain level of relevance in your field, yet there have been too many times “nobody came to ‘An Evening with Arthur Less.’” It’s the combination of these three failures—loss of love, professional oversight, and aging—that sets him into such a tailspin that he packs up on this bumbling odyssey rather than confront them head on. Do you stay a boy forever, and dye your hair and diet to stay lean… and go out dancing until you drop dead at eighty? Or do you do the opposite—do you forswear all that, and let your hair go gray, and wear elegant sweaters that cover your belly, and smile on past pleasures that will never come again?…. Do you experience the relief of letting go of all that vanity, anxiety, desire, and pain? Do you become a Buddhist? One thing you certainly do not do. You do not take on a lover for nine years, thinking it is easy and casual, and once he leaves you, disappear and end up alone in a hotel bathtub, wondering what now. You read poems about it, you hear stories about it, you hear Sicilians talk about being struck by lightning….What if the Sicilians are right? That it’s this earth-shattering thing…Something I’ve never felt. What if one day you meet someone, Arthur, and it feels like it could never be anyone else? Not because other people are less attractive, or drink too much, or have issues in bed…. It’s because they aren’t this person… Maybe you can go through your whole life and never meet them, and think love is all these other things. Is love the “good dear thing? Or is it the lightning bolt?” Can it be both? Is it Freddy sitting beside him at the Wilde and Stein awards, taking charge of the catering for his mother’s funeral, or answering “Arthur Less is the bravest person I know,” despite being reduced to a tongue-in-cheek quip in return? Is it this unwavering caring, regardless of a disparity in ages? 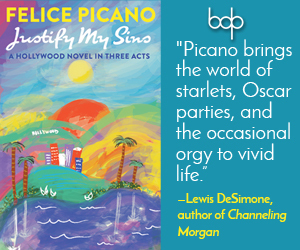 Deftly switching between hilarious satire and poignant observation, Less captures the cadences of reality—unbearably funny and sad, often at the same time.